Torque Pro ($4.95) is an app based program that allows you to obtain all kinds of data from your engine as well as read & clear DTC (diagnostic trouble codes) via your phone or tablet. 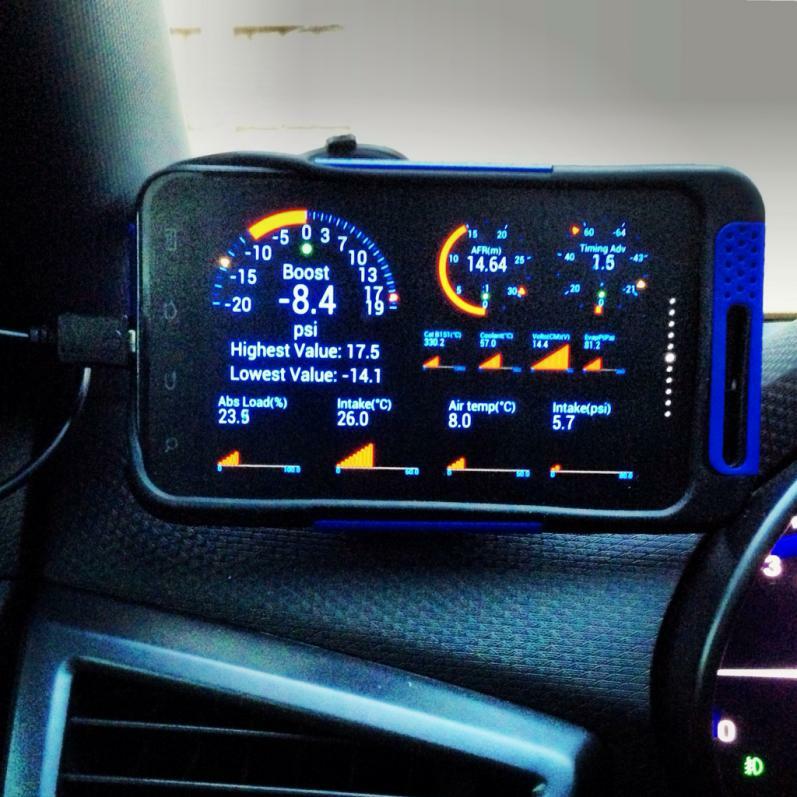 This app is gaining traction and some projects are utilizing this app and a 7"-10" tablet as their primary gauges. The Torque app has some amazing pre configured layouts but is also completely configurable to your desires. Below are some samples of what can be done. You are only limited by your imagination essentially. There are literally hundreds of different OBDII Bluetooth interface modules on the market. Although I haven't tried them all, the BAFX Products 34t5 Bluetooth OBDII Scan Tool for Android Devices seems to work the best on various manufacturers. It can be found on Amazon, Ebay, etc for around $25.00. The Torque Pro app has been out for some years now. Until recently oil pressure (2003+ engines) was not obtainable via the app in that GM did not make the oil pressure a standard OBDII protocol, it was a GM specific PID (specific data stream). So apps like Torque Pro could not read them. Well give the general public time and we will figure it out. I do not take credit for this but it has been floating around the internet for awhile. Below are the steps to manual add the GM Oil Pressure PID to the Torque Pro app.